OooooOOOoooOOo... I have to say, this Disney Store exclusive Toy Story Glowing Alien Plush is one of the best things to come from there in a long time! This hit stores back in July and, as soon as I saw it there on the shelf, there was no question about whether I was going to pick it up or not. 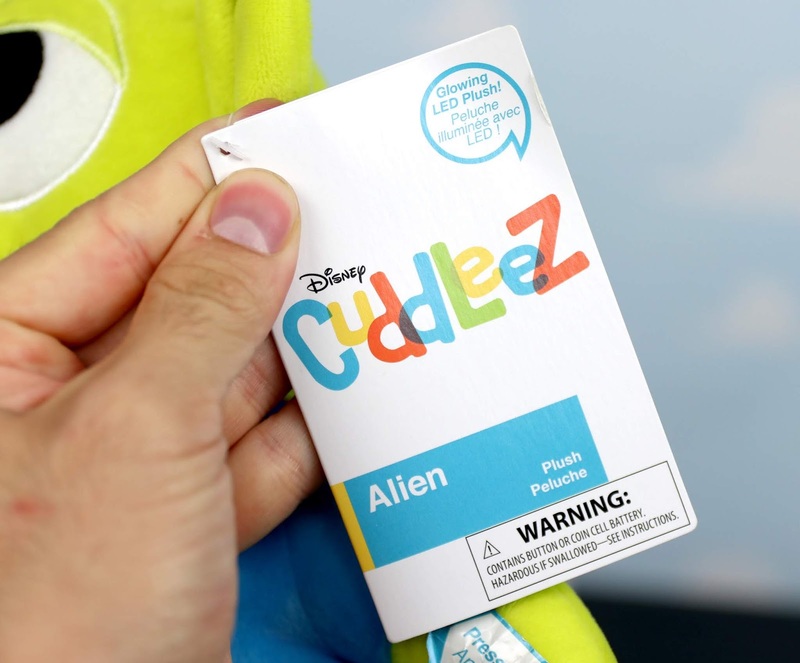 This is the perfect item to put away for my little Toy Story fans to snuggle with one day and is sure to be a huge hit. I love that it's a cuddle friend and a nightlight! 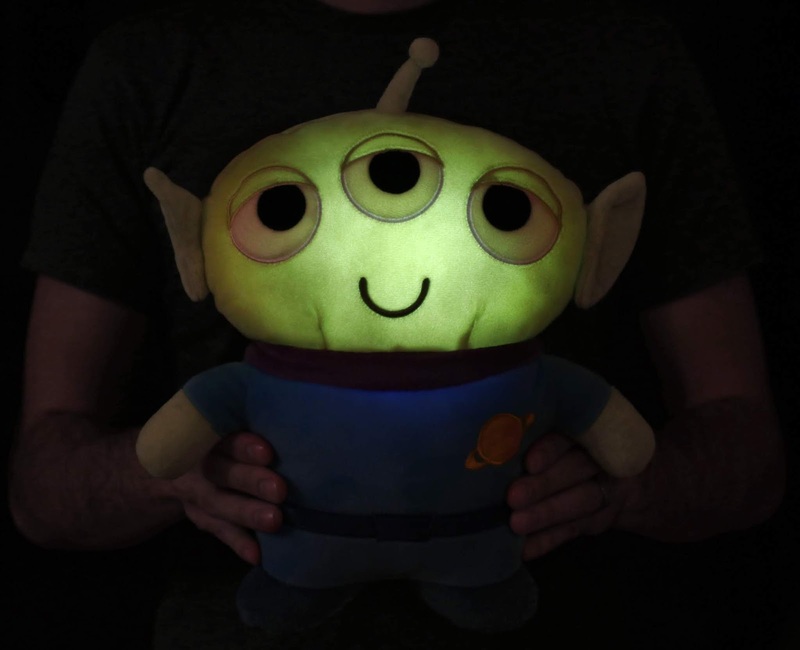 This adorable LGM's head lights up (a nice, soft glow) when you squeeze its hand. The plush is all around super duper soft with embroidered features, is about 13'' H (including antenna) x 12'' W x 4'' Diameter in size and retails for $24.95. BUT ACT QUICK and you can pick this up with a BONUS 40% off (which brings it down to a fantastic $14.97). Hurry though, that promotion is sure to end soon. Visit your local Disney Store to take advantage of it or find it on the ShopDisney site HERE. On the back you'll find a small velcro compartment which holds the plush's battery pack. Take that out and turn it from the "TRY ME" mode (in which the light feature only works for a few seconds) to the "ON" mode (the light feature will stay on until you squeeze its hand again, turning it off). You can also disable the light-up feature completely by switching the power pack to the "OFF" position. Three LR44 button cell batteries are required and included. This is part of the Disney Store's new "Cuddleez" collection. If you're a Beauty and the Beast fan, you can find a light-up Belle plush in this same style HERE. Here's the glow feature in action! Totally out of this world cute. I love his uniquely stylized design and that completely simple "U" smile (a look you never see the Toy Story aliens have). 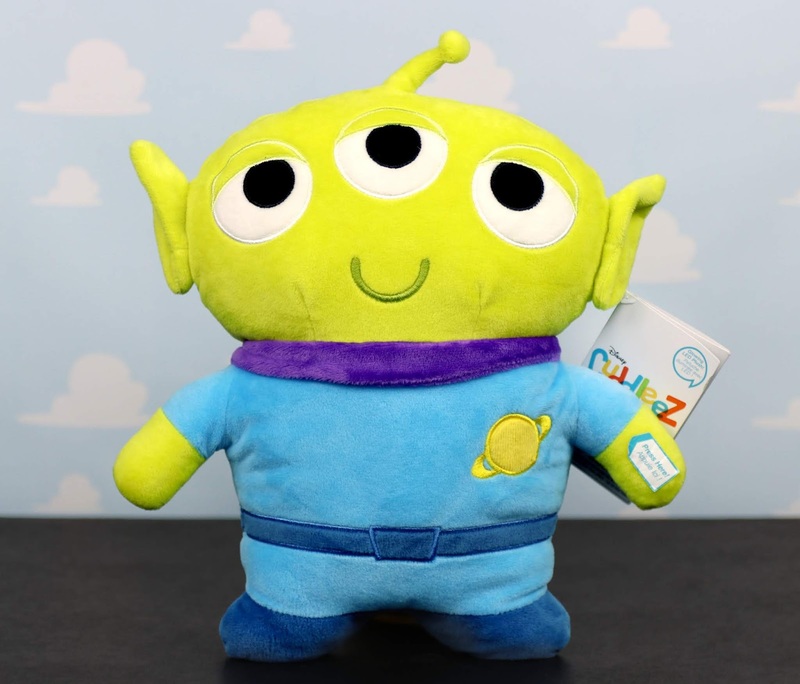 There have been multiple Toy Story alien plushies released in the past, but none as cute or as soft as this one. 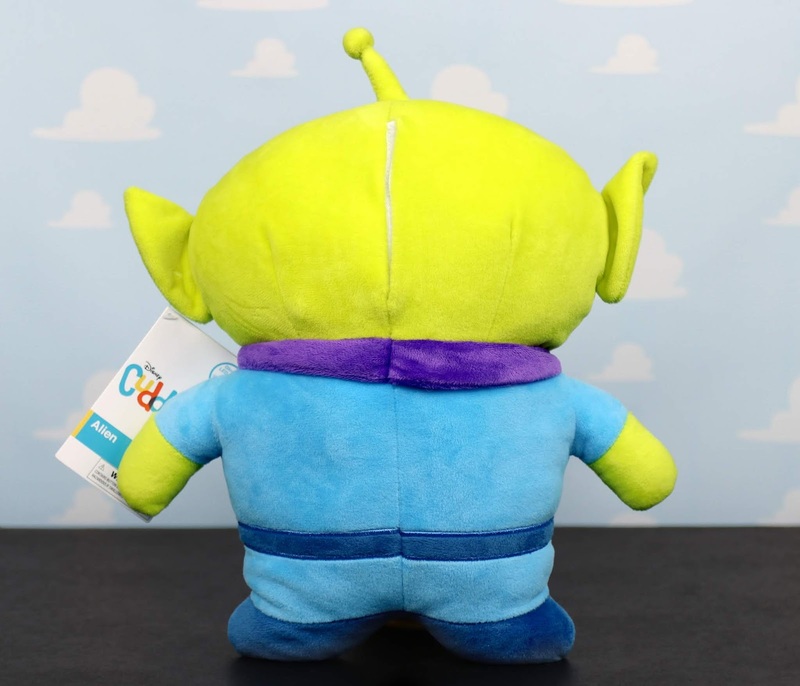 I am "eternally grateful" for this plush and you will be too! If you or your little one at home is a Toy Story fan, I cannot recommend picking this up enough. This is not to be missed, so be sure to grab it at your local Disney Store or online HERE (remember the current code for 40% off is BONUS40) before the claw snatches all of them up. Let me know your thoughts down in the comments below!